New York Times bestselling author Laurell. K. Hamilton offers readers a brand-new experience in the world of Anita Blake! Fusing mythology, werewolves and vampires with a story loaded with mystery, action and romance, the Anita Blake novels take place in a world where vampires, werewolves and other creatures of nightmare have been declared legal citizens of the United States. Anita Blake is an "animator" - a profession that involves raising the dead for a living. She is also known as a fearsome hunter of criminal vampires, and she moonlights by investigating cases that are far too much for "conventional" police. 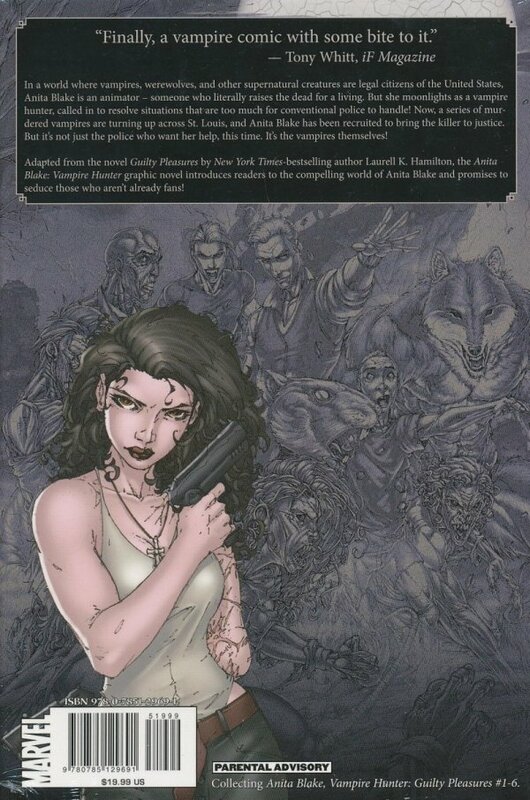 But as Anita gains the attention of the vampire masters in her hometown of St. Louis, she also risks revealing an intriguing secret about herself - the source of her unusual strength and power. As a special treat, Anita Blake fans will also discover an original side story featuring Anita and Dolph, by Laurell. K. Hamilton.